The beginning of the year is a great time to freshen your closet! Clear out all those clothes you don't love or wear; create a capsule (set of clothes) that are easily mixable and your mornings will be suddenly easier! 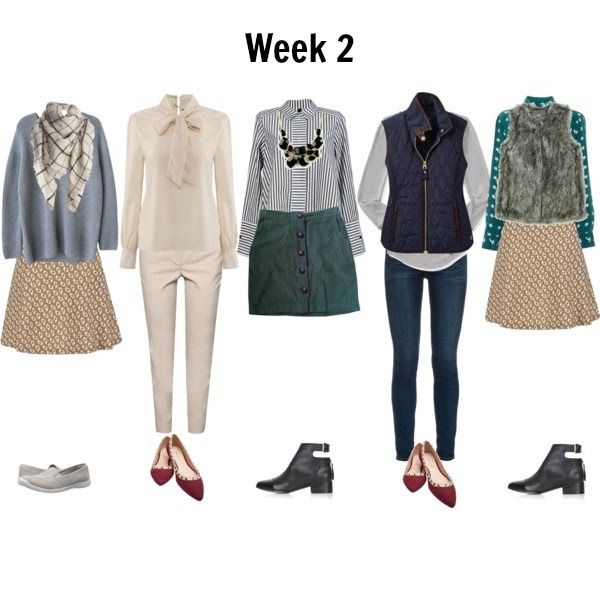 With one set of clothes, you can create a month's worth of outfits (see above). 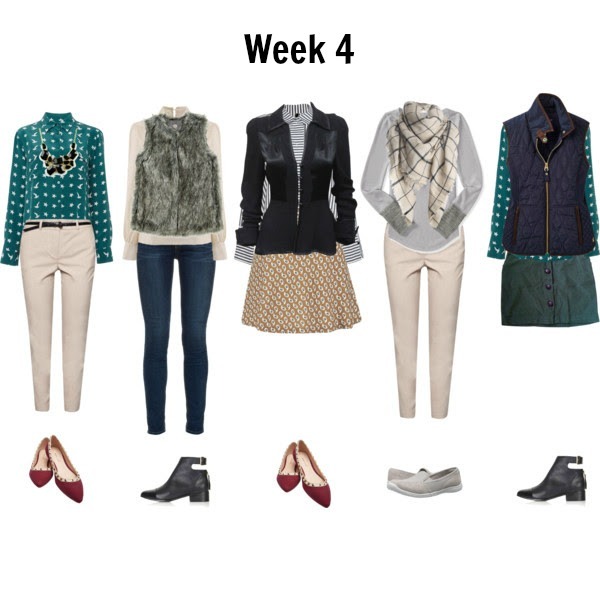 The set today has only thirteen pieces of clothing and it produced four weeks of outfits! It's completely do-able, trust me. You'll love how light you feel when your closet is uncluttered and your outfits come together effortlessly. 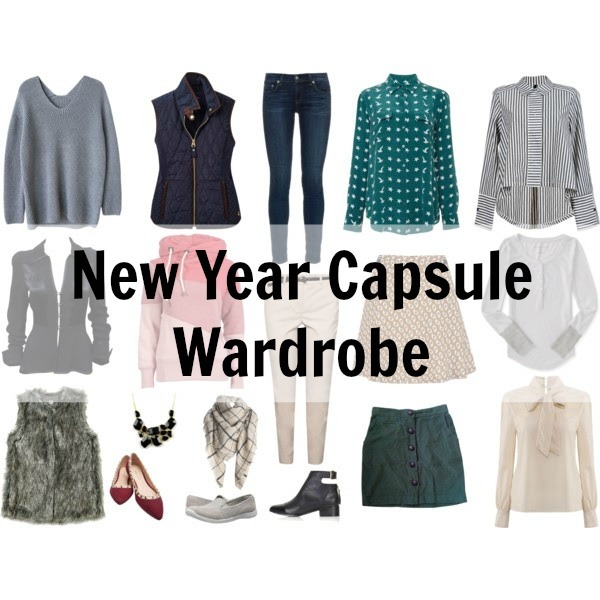 Want to start your new year with a new closet? hello Catherine, happy new year to you. Have a great 2016 and be open to the blessings God will pour out on you this year, Geoff.